A hammock is the essential relaxing-tool. If you want to reach a further dimension of relaxation, it will surely help with listening to some good relaxing summer music. Our favourite tunes this summer for relaxing in a hammock are on our play list on Soundcloud here. Like our play list? You can share it easily with your friends on Soundcloud or by just messaging them the link. What is Hamacas background and philosophy? We, who run Hamaca, are husband and wife team Paul and Caroline. 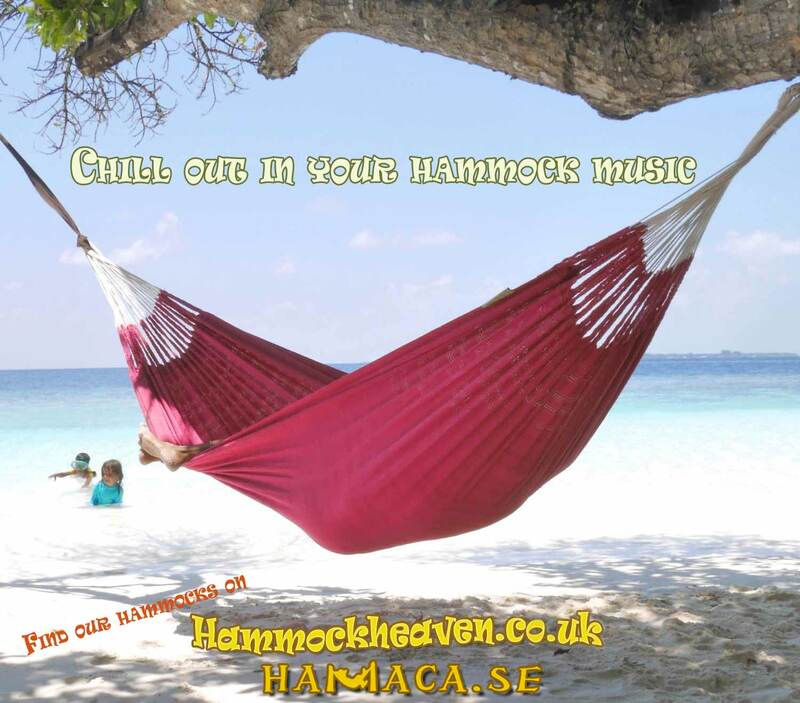 We have been selling hammocks since 2004 both in England and in Sweden, and will soon open our warehouse in the United States. Caroline has studied human ecology at university. Paul has studied economics. Both are passionate about helping people in poor countries and to combat environmental pollution in the ways that is possible, where we can also make a living. We believe it does not help so much to send money to poor countries in the form of aid. This money often end up in the pockets of corrupt politicians and organizations unfortunately, from what we have seen from our experience. We are not saying that the aid does not help at all, just that it doesnt solve the problem. It is just a "quick fix". What we have seen that really helps is to give people in "poor" countries real jobs. By choosing to produce our hammocks in India and Colombia, and expanding the operations to other countries, we provide hundreds of jobs. Our requirements are in addition, that the working conditions are good and the wages are decent. Where are HAMACAs hammocks made? Hamacas hammocks are manufactured in Colombia and India. We are looking to start manufacturing in Brazil and El salvador as well, and are in the process of finding a good partner that meets our high standards. How are Hamacas hammocks made? We can control how the hammocks are produced since we are the ones choosing where to have them made. We can choose who we want to hire to get the raw materials. The wood that we use for example, are from FSC-certified forests. The colors are AZO-free. They are synthetic, but has minimal environmental impact. We have experimented with vegetable dyes. Unfortunately the demand was too small and the colors have varied too much or else we would have had this as an alternative. The cotton we use for our Colombian hammocks are made of recycled cotton fabric. The cotton industry requires incredible amounts of water and land. By selecting a product that is made of recycled materials it makes it much more environmental that producing new cotton, even if it is organic. The land and water that would have been used for the cotton production can be used for something else instead. Why use a hammock or hanging chair? Hammocks and hanging chairs are so comfortable! We think they should be in every home and garden. A hammock is not only comfortable but also stylish and practical. If you feel you need something that brightens up your home it is definitely a good idea to have such a thing like a hanging chair in your living room. Add some pillows and a blanket and it will be a super-cozy hideaway. A hanging chair or hammock in your home also saves space and goes well to complement or replace for the example sofas. A hanging chair or hammock is additionally economical to have. Compare their costs for a couple of hanging hangings instead of having a sofa group, for example. It will be a great solution for anyone who is economical and is the perfect gift for those young ones who have just moved away from home. 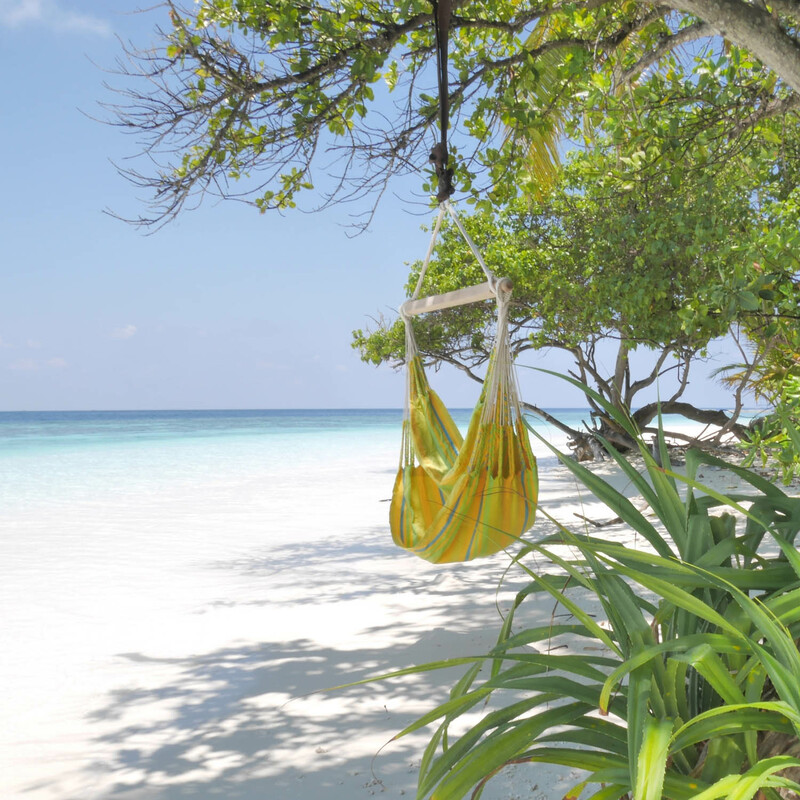 A hammock or hanging chair is furthermore synonymous with summer and holidays. The garden is simply not complete without the hammock. How could anyone have a holiday without a hammock? An impossibility for us who are snowed in the hammock world..! Well, if the above reasons has not already convinced you, I can add that a hammock from HAMACA is just not the same thing as a hammock from the cheap chain stores. Hamaca can not possibly compete with the discount hammocks in cheap chain stores because the people behind it doesnt get the same wage and the material is probably the cheapest available on the market so the quality and ethics behind it is just not the same.